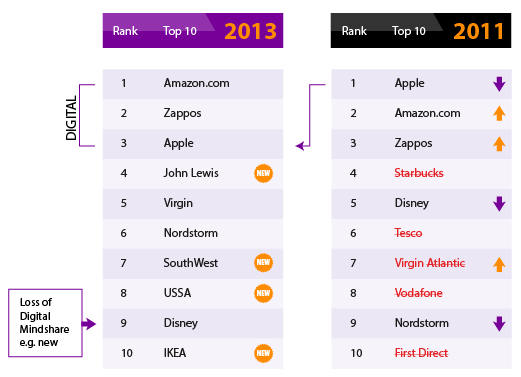 A very interesting chart published late last year by Beyond Philosophy shows an evolution of the top 10 brands in Customer Experience Management between 2011 and 2013. Some of the key areas where these brands are making a difference, and the reason WHY they have been mentioned as TOP include excelling in customer service, ease of use and good communications. Customer experience management is becoming increasingly important for the success of companies and it translates into results, from the mouths of customers directly into financial markets. This trend is particularly true in industries that are seeing a high degree of commoditization of their services and an increase in competition, i.e. Telecommunications. Another thing the top have in common is that they have an excellent awareness about what their experience actually is and where they want it to go. I believe that this is really the key to start with. Unfortunately, over the past years, Customer Experience has been a topic riddled with mismanagement from the top and caught up in “fluffy” arguments. It is paramount that international corporations develop local roots and a clear sense of what they want their customer experience to be. 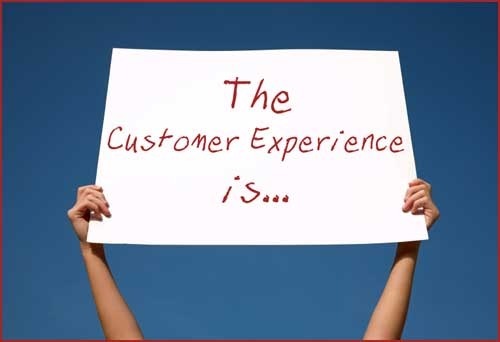 What does it mean Customer Experience for your business and for your local customers? How well do you measure Customer Service Excellence and how do you rank versus your peers? How easy is it for customers to activate and use your services? How well do you communicate with customers and how do you rank versus your peers? How much are your employees engaged and how do you rank versus your peers? Ranking versus peers is important, as Customer Experience should be a cornerstone of your differentiation strategy. I think that anyone playing a role in Customer Experience Management will find valuable insights in honest and critical answers to the questions above. Leave no stone unturned. Who Are Your Value Customers? Reblogged this on Customer Analytics & Brand Strategy.